Which check-in counter do I take my suitcase to?” – “When exactly is Aunt Joan landing from London?” – “Where can I get a snack?” – “Has my gate been changed?” The new Hamburg Airport App provides answers to all these questions and much, much more. 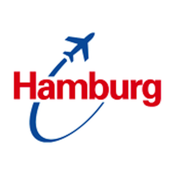 From today, the official Hamburg Airport app is available for free download on the airport website (www.hamburg-airport.de) and in the App Store, in German, English and Danish. At the heart of the app is the “My Flight” button, available from all screens within the app. Using this button, the user can enter a flight number and retrieve all the important details of the flight at any time with a simple touch. The button works for both departures and arrivals. 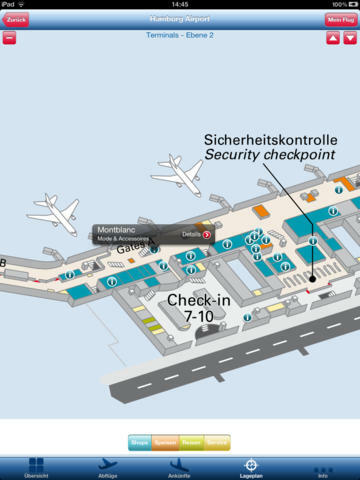 Short notice changes to gates or landing times, for example, will be displayed quickly and simply on the screen. 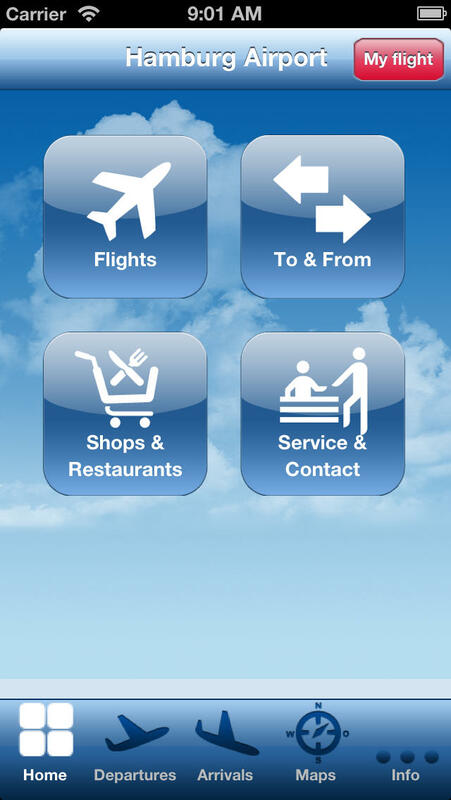 The App’s main menu has four items: Flights, To & From, Shops & Restaurants, Service & Contact. All of today’s and tomorrow’s arrivals and departures can be retrieved under “Flights”. “To & From” provides passengers and visitors with useful information about car parks and their availability as well as bus and rail connections. The “Shops & Restaurants” section helps passengers to find just what they are looking for amongst the wide range of experiences that Hamburg Airport has on offer. And if there are any questions left unanswered, the user can go to “Service & Contact” for a directory of the most important telephone numbers, security information and helpful airport maps.